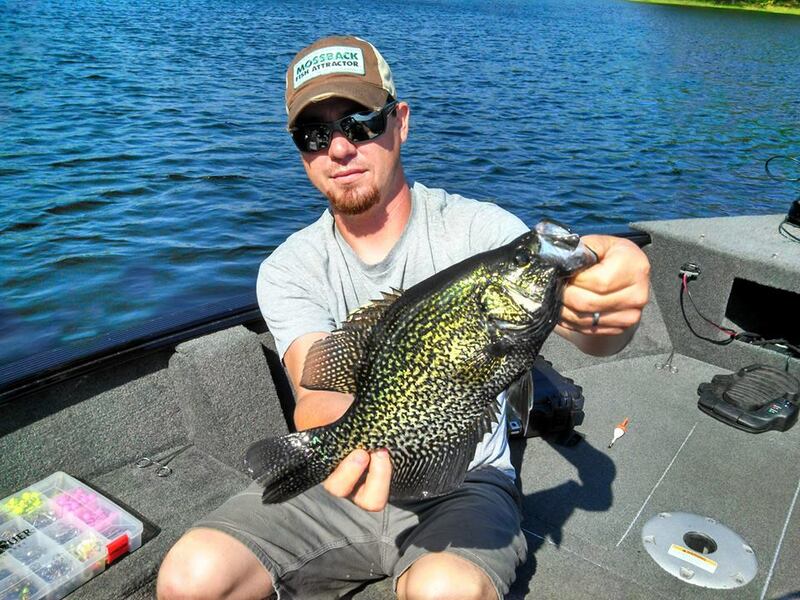 With a day to fish and so many places to go, we decided to head for one of our new spots and continue our search for big crappies on a large body of water. Hoping to catch a few fish on the tail end of their spawning patterns, we loaded up the boat and made the short drive to the water. We arrived with clearing skies and very little wind, much better conditions than last time when we were face temps in the 40’s with a fresh blanket of snow on the ground. Learning a new body of water requires a lot of patience. We decided to start fishing where we left off the previous trip. Using the “Live” Baby Shad by Lake Fork Trophy Lures under a bobber, we hit the water. This presentation has proved successful in many different places and “if it ain’t broke, don’t fix it”. Right off the bat at our first stop we started catching fish, and crappie at that. The fish were tucked right up on shore relating to any wood structure protruding from shore. The fish seemed to be aggressive, there was a storm possibly coming through in a few hours which might have had something to do with it and it was also prime time in the morning. We were hopeful that the rest of the day would produce a good bite. We set the Minn Kota motor on auto pilot and set off the fish the rest of the shore line. The bite was strange, pockets of fish would produce a quick flurry of action but then nothing for some time until you were able to locate another pod of fish. A pattern that proved to be successful last time was to locate small flats with boulders, yes we know, this is a prime spot to look for spawning smallmouth. Oddly enough, this particular body of water seemed to attract big crappies in these same locations. We were able to get on to a few bigger sized fish but the skies darkened and we decided to chase the storm backwards hoping to find clear skies and more fishing. 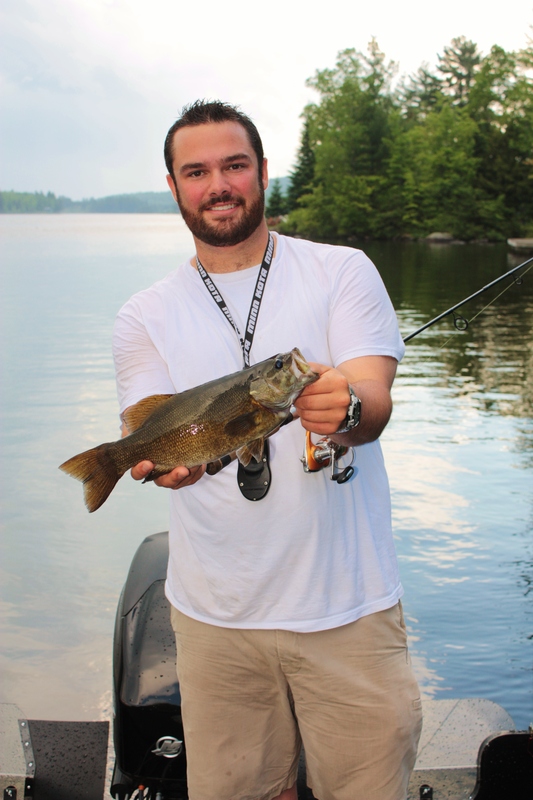 We made our way to a small mountain lake hoping to catch a few remaining smallmouth close to beds for some quick action. We launched the boat and received a rude welcome by mother nature. The skies opened up with big rain drops, thunder and lightning so we made a quick run for camp and cover to wait out the storm. The worst of the storm passed and with our rods rigged with Champlain Custom Baits, we hit the water again. Fishing wasn’t what we expected it to be. There were a few small males left on shore guarding beds but very few larger fish (females). We were fortunate to hook up up with a few decent fish for a quick picture. The fish were right on shore, literally! Most bites came within a foot from rocks and docks on shore. More good times on the water!